The 1993 Major League Baseball All-Star Game was the 64th playing of the midsummer classic between the all-stars of the American League (AL) and National League (NL), the two leagues comprising Major League Baseball. 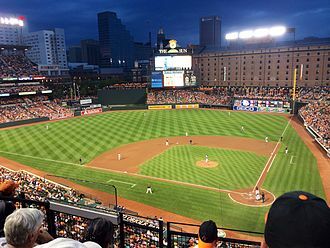 The game was held on July 13, 1993, at Oriole Park at Camden Yards in Baltimore, Maryland, the home of the Baltimore Orioles of the American League. The game resulted in the American League defeating the National League 9-3. This is also the last Major League Baseball All-Star Game to date to be televised by CBS. The trainers for the American League were Richie Bancells of the Baltimore Orioles, and Barry Weinberg of the Oakland Athletics. See also: "1993 All-Star Game Play by Play". 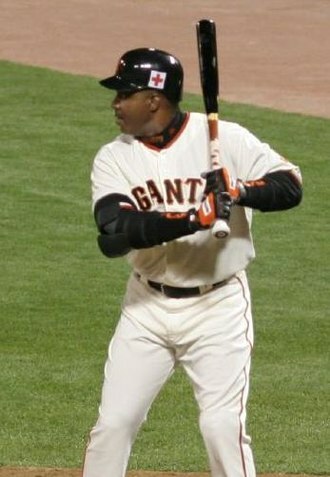 The visiting National League scored in the first inning off starting pitcher Mark Langston when Barry Bonds doubled with one out and Gary Sheffield followed with a home run for a 2-0 lead. The American League got a run back in the second when Kirby Puckett homered with one out off the NL starter, Terry Mulholland. Roberto Alomar tied the game at two in the third inning, leading off with a home run, off Andy Benes. The AL went ahead to stay with three runs in the fifth. John Burkett came in to start the inning, and first batter Ivan Rodriguez doubled and scored on a single by Albert Belle, who went to second when Justice made an error on the play. Ken Griffey, Jr., singled home Belle and went to second on the throw home. After Cecil Fielder was hit by a pitch, Kirby Puckett doubled home Griffey for the third run of the inning and a 5-2 AL lead. Steve Avery relieved to get the last out of the inning. The NL got a run back in the top of the sixth. Jimmy Key started the inning and gave up a double to Bonds, followed by a single to Sheffield and a sacrifice fly to Barry Larkin, making the score 5-3. The AL broke the game open in the bottom of the sixth with three more runs. With two outs, Carlos Baerga reached on an error by shortstop Jeff Blauser, then Albert Belle walked. Devon White doubled home Baerga and after John Smoltz relieved Avery, Belle scored and White went to third on a wild pitch. Juan Gonzalez walked, then Smoltz threw his second wild pitch of the inning, allowing White to score the third run of the inning, giving the AL an 8-3 lead. Smoltz tied an All-Star game record with two wild pitches, but he was the first to throw them in the same inning. The AL got the last run of the game in the seventh inning when Greg Vaughn led off with a single and scored on a two-out double by Terry Steinbach, both hits off Rod Beck, making the final score 9-3. 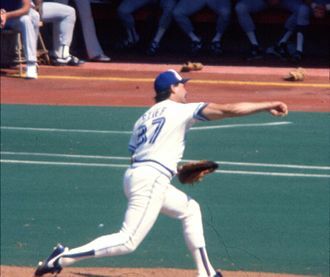 The last out however ended strangely, when American League (Blue Jays) manager Cito Gaston allowed Blue Jays closer Duane Ward to close out the game in the ninth at Camden Yards, rather than hometown hero Mike Mussina. Fans cheered as the Orioles' Mike Mussina warmed up in the bullpen and chanted "We Want Mike! ", but after the last out of the game, the fans booed Gaston for not putting in Mussina to close out the game. Fans began throwing various waste onto the field until an appeal from Mussina himself stopped the crowd. Mussina said that he warmed up so he would not mess up his regular pitching schedule, as he was going to pitch the next day. Despite this, many people believe that he started warming up so that the fans would get riled up, meaning that Gaston would most likely put him in. As it was, Mussina did not play in the All-Star Game, and Ward did not get the save. The pregame colors presentation was from the color guard of the United States Naval Academy in Annapolis, Maryland. Geddy Lee, lead singer of the band Rush later sang the Canadian National Anthem, while James Earl Jones recited the U.S. National Anthem, accompanied by the Morgan State University choir. 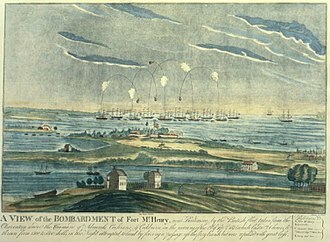 At the conclusion of the National Anthem, fireworks exploded over Fort McHenry while airplanes from Andrews Air Force Base flew over Camden Yards. To commemorate the 35th anniversary of the 1958 Major League Baseball All-Star Game, which had been played at Memorial Stadium, Hall-of-Famer and Baltimore native Al Kaline joined the ceremonial first pitch ceremonies. Also joining the ceremonies was Orioles Hall-of-Famer Brooks Robinson. ^ a b Player declined or was unable to play. ^ Retrosheet. "1993 All-Star Game Play by Play". Geisler Young, LLC. Archived from the original on July 22, 2009. Retrieved July 4, 2009. ^ "James Earl Jones Recites National Anthem at the 1993 All Star game". You Tube. Major League Baseball. Retrieved 18 February 2019. The Miami Marlins are an American professional baseball team based in Miami, Florida. The Marlins compete in Major League Baseball as a club of the National League East division. 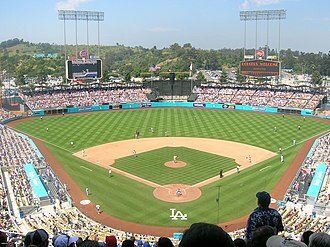 Their home park is Marlins Park, though one of only two MLB franchises to have never won a division title, the Marlins have won two World Series championships as a wild card team. The stadium was called Pro Player Park, Pro Player Stadium, Dolphin Stadium, Dolphins Stadium, Land Shark Stadium, since the 2012 season, they have played at Marlins Park in downtown Miami, on the site of the former Orange Bowl in Little Havana, Florida. The new park, unlike Sun Life Stadium, was designed foremost as a baseball park, the new parks name is a temporary one until naming rights are purchased. Per agreement with the city and Miami-Dade County, the Marlins officially changed their name to the Miami Marlins on November 11,2011 and they adopted a new logo, color scheme, and uniforms. The 2003 season was notable for the firing of manager Jeff Torborg after 38 games, the Marlins were in last place in the NL East with a 16–22 record at the time. Torborgs successor, 72-year-old Jack McKeon, led them to the NL wild card berth in the postseason, the Marlins moved into their new ballpark, Marlins Park in 2012, which coincided with a change in the team colors/uniforms and name to the Miami Marlins. No-Hitters, Marlins pitchers have pitched five no-hitters in team history, four coming against teams in the NL West. Hitting for the cycle, No Marlins player has hit for the cycle in franchise history. See also, List of Major League Baseball retired numbers § Alternative methods of recognition, from 1993 until 2011, the Marlins had retired the number 5 in honor of Carl Barger, the first president of the Florida Marlins who died prior to the teams inaugural season. Bargers favorite player was Joe DiMaggio, thus the selection of number 5, with the move to the new ballpark, the team opted to honor Barger with a plaque. Logan Morrison, a Kansas City native and fan of Royals Hall-of-Famer George Brett, after José Fernández death as a result of a boating accident on September 25,2016, the Miami Marlins announced plans to build a memorial at Marlins Park in his honor. The game usually occurs on either the second or third Tuesday in July, and is meant to mark a symbolic halfway-point in the MLB season. Both of the major leagues share a common All-Star break, with no games scheduled on the day before or two days after the All-Star Game itself. Some additional events and festivities associated with the game take place each year close to, no official MLB All-Star Game was held in 1945 including the official selection of players due to World War II travel restrictions. The first All-Star Game was held on July 6,1933 as part of the 1933 Worlds Fair in Chicago, at Comiskey Park and was initiated by Arch Ward, initially intended to be a one-time event, its great success resulted in making the game an annual one. The venue for the All-Star Game is chosen by Major League Baseball, the criteria for the venue are subjective, cities with new ballparks and those who have not hosted the game in a long time—or ever—tend to get selected. New York City has hosted more than any city, having done so nine times in five different stadiums. 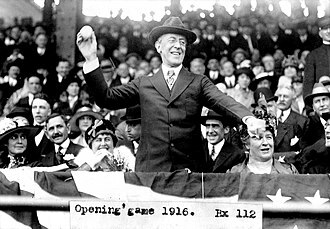 At the same time, the New York Mets failed to host for 48 seasons, in the first two decades of the game there were two pairs of teams that shared ballparks, located in Philadelphia and St. Louis. This led to some shorter-than-usual gaps between the use of venues, The Cardinals hosted the game in 1940, and the Browns in 1948. The Athletics hosted the game in 1943, and the Phillies in 1952, the venues traditionally alternate between the American League and National League every year. This tradition has been several times, The first time was in 1951. Detroit Tigers were chosen to host the game as part of the citys 250th birthday. The second was when the format during the 1959–1962 seasons resulted in the A. L. being one game ahead in turn. This was corrected in 2007, when the N. L, San Francisco Giants were the host for the 2007 All-Star Game, which set up the 2008 game to be held at the A. L. s Yankee Stadium in its final season. This decision was made following the announcement of Miami as host for the 2017 All Star Game, the coaching staff for each team is selected by its manager. Clarence Edwin Cito Gaston is a former Major League Baseball outfielder and manager. His major league career as a player lasted from 1967 to 1978, most notably for the San Diego Padres and he spent his entire managerial career with the Toronto Blue Jays, becoming the first African-American manager in Major League history to win a World Series title. Cito Gaston managed the Toronto Blue Jays from 1989 to 1997, during this time, he managed the Blue Jays to four American League East division titles, two American League pennants and two World Series titles. Gaston grew up in San Antonio and Corpus Christi and his career ambitions were either to be a truck driver like his father, or make it into the Major Leagues. He adopted his nickname Cito in preference to his given name Clarence, Gaston told Toronto Blue Jays broadcasters that the name was taken from a Mexican-American wrestler he watched as a young man in Texas. Other reports state that Gaston was given this nickname from a friend named Carlos Thompson who thought that Gaston resembled a Mexican wrestler named Cito, as a player with the Atlanta Braves, he was the roommate of Hank Aaron. Gaston credits Aaron with teaching him how to be a man, Gaston has been married three times. His first marriage ended in divorce with Gaston citing his baseball career as the reason and his second marriage to a Canadian woman, lasted from the early 80s to the early 2000s. Since 2003, Gaston has been married to Lynda, both residing in Oldsmar, when in Toronto, Gaston lives in a downtown condominium which he sublets to former Toronto Maple Leafs assistant coach Tim Hunter. Primarily a center fielder, Gaston began his playing career in 1967 with the Atlanta Braves. The following year he was selected by the San Diego Padres in the expansion draft and he had his best individual season in 1970, when he batted.318 with 29 home runs,92 runs scored and 93 RBI, and was selected to the National League All-Star team. The rest of Gastons career did not live up to his All-Star season success, Gaston never hit more than 17 home runs or knocked in more than 61 runs in any season with the Padres or the Braves. James Timothy Tim McCarver is an American sportscaster and former professional baseball catcher. McCarver played for the St. Louis Cardinals, Philadelphia Phillies, Montreal Expos and he appeared in the MLB All-Star Game in 1966 and 1967, and was the starting catcher for the World Series champion St. Louis Cardinals in 1964 and 1967. McCarver was the recipient of the 2012 Ford C, McCarver was born in Memphis, Tennessee. McCarver, following his years with Memphis Christian Brothers High School, was signed by the St. Louis Cardinals in 1959, playing with the Cardinals minor league teams of Keokuk and Rochester, McCarver reached the MLB level for the first time at the age of only 17. He spent the 1960,1961, and 1962 seasons shuttling between St. Louis and the league teams of Memphis and Atlanta. In 1963, he was called up to the majors for good, in 1964, his tiebreaking home run in the 10th inning won Game 5 of the World Series. In 1966, McCarver was named to the All-Star Team, scored the winning run in the 10th inning of that 1966 All-Star Game, in 1967, he finished second to teammate Orlando Cepeda for the National League Most Valuable Player award. McCarver was a member of two World Series championships during his time in St. Louis and he was the favorite catcher of the notoriously temperamental Bob Gibson, and fostered a relationship with young pitcher Steve Carlton that would keep him in the major leagues in his career. After a trade to Philadelphia involving, among others, his teammate Curt Flood before the 1970 season, McCarver played for the Phillies, Red Sox, and another brief stint with the Cardinals. McCarvers career might have taken a different turn in 1975, according to Peter Gammons, McCarver, was released, and Johnson led the Red Sox to the 75 AL pennant. During his first stint with the Phillies, McCarver caught Rick Wises no-hitter on June 23,1971, at the end of the season, the Phillies traded Wise to the Cardinals for Steve Carlton, the deal reuniting McCarver with Carlton. During the 1972 season, the Phillies traded McCarver to the Montreal Expos where, on October 2, he caught the second of Bill Stonemans two career no-hitters. 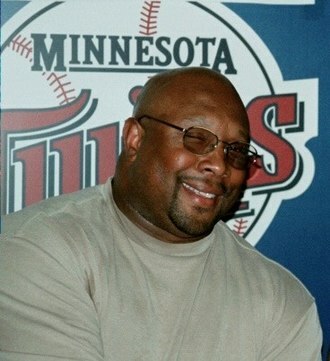 Kirby Puckett was an American professional baseball player. He played his entire 12-year Major League Baseball career as a fielder for the Minnesota Twins. Puckett is the Twins all-time leader in hits, doubles. At the time of his retirement, his.318 career batting average was the highest by any right-handed American League batter since Joe DiMaggio. After being forced to retire at age 36 due to loss of vision in one eye from a central retinal vein occlusion, Puckett was elected to the Baseball Hall of Fame in 2001, his first year of eligibility. Puckett was born in Chicago and raised in Robert Taylor Homes and he attended and played baseball for Calumet High School. After receiving no scholarship offers following graduation, Puckett at first went to work on a line for Ford Motor Company. However, he was given a chance to attend Bradley University, despite his undersized 58 frame, the Minnesota Twins selected him in the 1st round of the 1982 Major League Baseball draft. After being promoted to the AAA Toledo Mud Hens to start the 1984 season, Pucketts major league debut came on May 8 against the California Angels, a game in which he went 4 for 5 with one run. That year, Puckett hit.296 and was fourth in the American League in singles, in 1985, Puckett hit.288 and finished fourth in the league in hits, third in triples, second in plate appearances, and first in at bats. In 1986, Puckett began to emerge as more than just a singles hitter, Kirby was recognized for his defensive skills, earning his first Gold Glove Award. In 1987, the Twins reached the post-season for the first time since 1970 despite finishing with a mark of 85-77, once there, Puckett helped lead the Twins to the 1987 World Series, the Twins second series appearance since relocating to Minnesota and fifth in franchise history. Statistically speaking, Puckett had his best all around season in 1988, hitting.356 with 24 home runs and 121 RBI, finishing third in the AL MVP balloting for the second straight season. 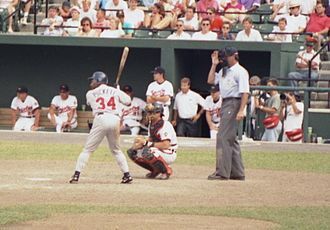 Although the Twins won 91 games, six more than in their championship season, Puckett won the AL batting title in 1989 with a mark of.339, while finishing fifth in at bats, second in doubles, first in hits, and second in singles. Gerald Francis Jerry Coleman was a Major League Baseball second baseman for the New York Yankees and manager of the San Diego Padres for one year. Coleman was named the rookie of the year in 1949 by Associated Press, Yankees teams on which he was a player appeared in six World Series during his career, winning four times. Coleman served as a Marine Corps pilot in WW II and the Korean War, flying missions with the VMSB-341 Torrid Turtles. He became a broadcaster, and he was honored in 2005 by the National Baseball Hall of Fame with the Ford C, Frick Award for his broadcasting contributions. Born in San Jose, Coleman graduated from Lowell High School and he played six years in the Yankees minor league system before reaching the big club in 1949. Coleman hit.275 in his first year and led all second basemen in fielding percentage and he was the Associated Press rookie of the year in 1949, and finishing third in balloting by Baseball Writers Association of America. Coleman avoided a sophomore jinx by earning a selection to the All-Star team in 1950 and he shined in the World Series with brilliant defense, earning him the BBWAAs Babe Ruth Award as the seriess most valuable player. While a Marine Corps aviator he flew 120 combat missions, and received numerous honors and medals including two Distinguished Flying Crosses. In recent years Coleman received numerous honors, being inducted into the USMC Sports Hall of Fame, Coleman was the only Major League Baseball player to have seen combat in two wars. Colemans career declined after he was injured the season, relegating him to a bench role. He was forced to retire after the 1957 season, but he left on a good note and he appeared in the World Series six times in his career, winning four of them. In 1958, New York Yankees general manager George Weiss named Coleman personnel director, roy Hamey terminated Coleman from that position, when Harney became the Yankees general manager. It was only after Coleman met with Howard Cosell that Coleman considered becoming a broadcaster, in 1960, Coleman began a broadcasting career with CBS television, conducting pregame interviews on the networks Game of the Week broadcasts. His broadcasting career ended that year, he was in the midst of an interview with Cookie Lavagetto when the national anthem began playing. Robert Joseph Bobby Cox is an American former professional baseball third baseman and manager in Major League Baseball. He first led the Atlanta Braves from 1978 to 1981, and he rejoined the Braves in 1985 as a general manager. He moved back to the role during the 1990 season. The Atlanta Braves have since retired the number 6 in commemoration of Bobby Cox and he led the Atlanta Braves to the World Series championship in 1995. He holds the record for ejections in Major League Baseball with 158. 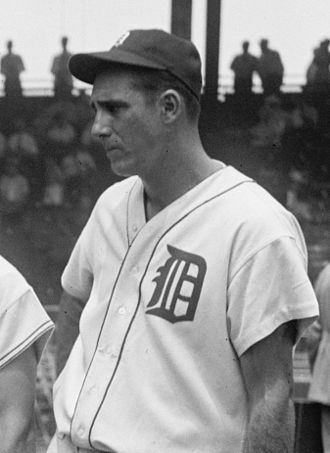 Cox ranks fourth on the baseball all-time managerial wins list, as a player, Cox originally signed with the Los Angeles Dodgers, but was never able to make the Dodgers major league team. Eventually he was acquired by the Braves, but never appeared in an MLB game for them either, instead, he was traded to the New York Yankees on December 7,1967. 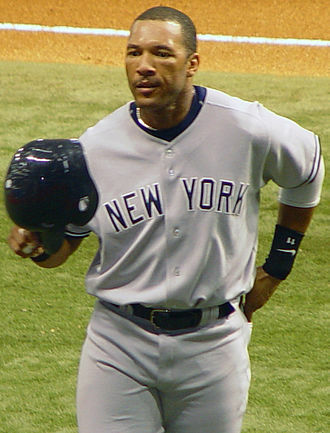 Cox played two seasons, mostly at third base, for the Yankees, because of bad knees, Cox became the second in a string of four stopgap players between Clete Boyer and Graig Nettles. Prior to managing in the States, Cox played from 1967 to 1970 for the Cardenales de Lara and he managed the Cardenales during three consecutive seasons from 1974–75 through 1976–77. In between, he coached and managed in the Yankees minor league system, Cox began his managerial career in the Yankees farm system in 1971. In 1976, he led the Syracuse Chiefs to the Governors Cup title and this team featured such future major leaguers as Ron Guidry, Mickey Klutts, Terry Whitfield and Juan Bernhardt. Overall, Cox had a highly successful tenure as a minor league manager. He spent the 1977 season as the first base coach on Billy Martins staff with the World Series–winning Yankees before beginning his MLB managerial career, building from the ground up, the Braves finished last in both 1978 and 1979. Murphy won two National League Most Valuable Player Awards and five Gold Gloves, and became one of the players of the 1980s. In 1980, the Braves finished fourth with their first record above.500 since 1974, Cox was undone by the 1981 baseball strike when the Braves finished fifth and owner Ted Turner fired him. 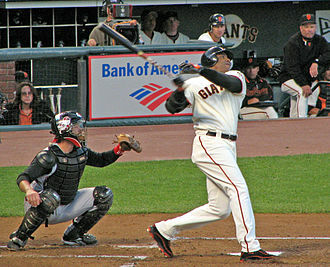 Barry Louis Larkin is a retired Major League Baseball player. 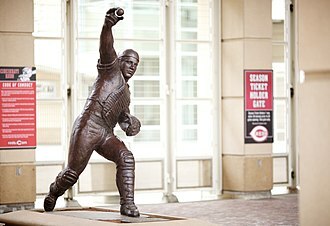 Larkin played shortstop for the Cincinnati Reds from 1986 to 2004 and was one of the players on the 1990 Reds World Series championship team. 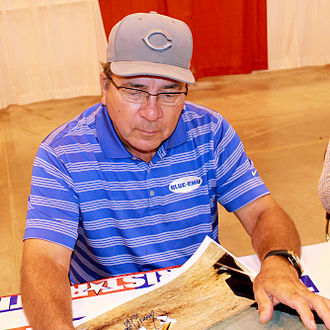 Larkin was elected to the National Baseball Hall of Fame in January 2012 and was inducted on July 22,2012, born and raised in Cincinnati, Larkin attended the University of Michigan, where he played college baseball. He briefly played in the minor leagues before making his MLB debut in 1986 and he quickly won the starting shortstop role for the Reds and enjoyed a long run of strong seasons with the team. Larkin struggled with a string of injuries between 1997 and 2003, limiting his time in several seasons. Larkin retired after the 2004 season and worked in a front office position for the Washington Nationals for several years until he joined ESPN as a baseball analyst. He served as a coach for the American team in the 2009 World Baseball Classic, Larkin is considered one of the top players of his era, winning nine Silver Slugger awards and three Gold Glove awards. He was selected to the Major League All-Star Game twelve times, Larkin attended elementary school at St. Johns the Evangelist in Deer Park, Cincinnati. 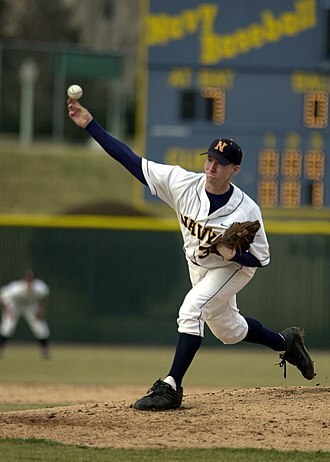 His high school was Archbishop Moeller High School, in Cincinnati, Larkin accepted a football scholarship to the University of Michigan to play for legendary coach Bo Schembechler, but during his freshman year he decided to play baseball exclusively. He was a two-time All-American and led the Wolverines to berths in two College World Series, in 1983 and 1984, Larkin was named Big Ten Player of the Year in 1984 and 1985. Larkins number 16 was retired by the school on May 1,2010, Larkin played with the Vermont Reds on their team that won the 1985 Eastern League Championship and in 1986 was the Rookie of the Year and AAA Player of the Year with the Denver Zephyrs. In all, he played only 177 minor league games in his professional career, after arriving in the majors, Larkin battled fellow prospect Kurt Stillwell for the starting shortstop spot before establishing himself as the starter in 1987. In 1988 Larkin led all major leaguers by striking out only 24 times in 588 at bats, Larkin batted.353 in the 1990 World Series to help lead the Reds to a four-game sweep of the Oakland Athletics. On June 27–28,1991, Larkin became the first shortstop ever to hit five home runs in the span of two consecutive games and he earned his fourth consecutive All-Star Game selection that season. After the 1991 season, Larkin questioned whether the Reds had a commitment to winning and he said he was likely to leave the team when his contract expired the next year, but he was encouraged when the Reds acquired pitchers Tim Belcher and Greg Swindell in the offseason. In January 1992, the Reds signed him to a five-year, at that time, only four players had larger contracts and Larkin was the highest-paid shortstop. Larkin was not selected as an All-Star in 1992, but he won his fifth consecutive Silver Slugger Award, in 1993 he won the Roberto Clemente Award, which recognizes players who display sportsmanship, community service and on-field ability. Ryne Dee Sandberg, nicknamed Ryno, is an American former professional baseball player and manager. He played in Major League Baseball as a second baseman for the Philadelphia Phillies, Sandberg established himself as a perennial All-Star and Gold Glove candidate, making 10 consecutive All-Star appearances and winning nine consecutive Gold Gloves from 1983 to 1991. His career.989 fielding percentage was a record at second base when he retired in 1997. Sandberg was elected to the National Baseball Hall of Fame in January 2005 and he resigned from his managerial duties for the Phillies on June 26,2015, and was succeeded by Pete Mackanin. 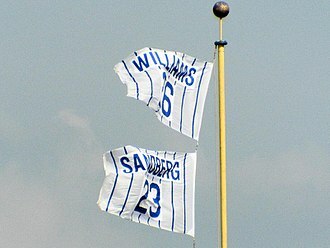 Born in Spokane, Sandbergs parents were Elizabeth, a nurse and he was named for relief pitcher Ryne Duren. Sandberg was a star in high school at North Central. The previous fall he was named to Parade Magazines High School All-America football team, one of the eight quarterbacks, the schools baseball field was named in his honor in 1985 as Ryne Sandberg Field, and his varsity number was retired in both football and baseball. 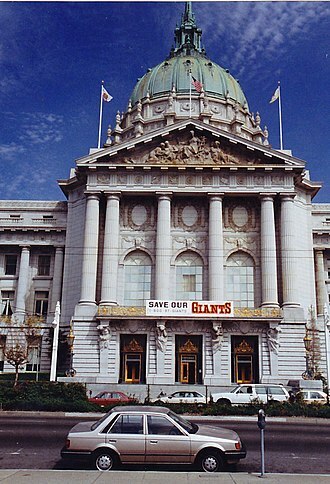 Sandberg was recruited to play quarterback at NCAA Division I colleges and he opted not to attend after being selected in the 20th round of the 1978 baseball amateur draft by the Philadelphia Phillies. Sandberg made his debut as a shortstop for the Phillies in 1981. Playing for a total of 13 games, Sandberg had one hit in six at-bats for a.167 batting average during his playing stint for the Phillies. That one hit occurred at Wrigley Field using a bat borrowed from fellow-Phillies-manager Larry Bowa, the Phillies didnt have much room in the lineup for him at the time. The Phillies didnt think he could play shortstop, though he would have probably had trouble dislodging Larry Bowa from that spot in any event. While hed seen time in the minors at both second and third base, he was blocked from those positions by Manny Trillo and Mike Schmidt, accordingly, he was traded along with Bowa to the Cubs for shortstop Iván DeJesús prior to the 1982 season. The trade, now reckoned as one of the most lopsided deals in baseball history, Cubs general manager Dallas Green, a former Phillies manager, wanted a young prospect to go along with the aging Bowa. The Atlanta Braves are an American professional baseball franchise based in the Atlanta metropolitan area. The franchise competes in Major League Baseball as a member of the National League East division, the Braves played home games at Atlanta–Fulton County Stadium from 1966 to 1996, and Turner Field from 1997 to 2016. Since 2017, their stadium has been SunTrust Park, a new stadium 10 miles northwest of downtown Atlanta in Cumberland/Galleria, Georgia. The Braves play spring training games in Lake Buena Vista, Florida, in January 2017, the Braves announced a formal agreement to move their spring training home to North Port, Florida. The Braves name, which was first used in 1912, originates from a term for a Native American warrior, from 1991 to 2005, the Braves were one of the most successful franchises in baseball, winning division titles an unprecedented 14 consecutive times in that period. The Braves won the NL West 1991–93 and the NL East 1995–2005, the Braves advanced to the World Series five times in the 1990s, winning the title in 1995. The Braves are the only Major League Baseball franchise to have won the World Series in three different home cities, the Braves and the Chicago Cubs are the National Leagues two remaining charter franchises. 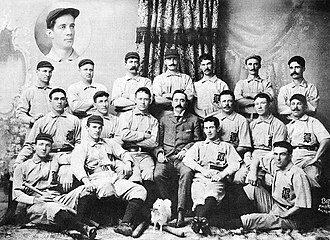 The Braves were founded in Boston, Massachusetts, in 1871, the team states it is the oldest continuously operating professional sports franchise in America. 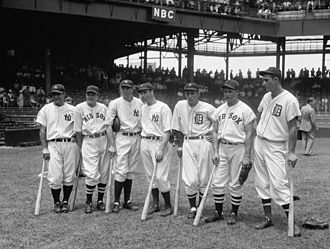 After various name changes, the team began operating as the Boston Braves. 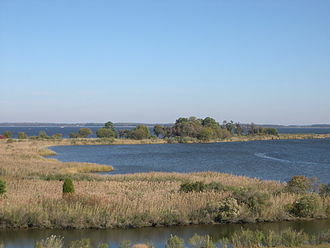 Then, in 1953, the moved to Milwaukee, Wisconsin. The teams tenure in Atlanta is noted for Hank Aaron breaking Babe Ruths career home run record in 1974, the Cincinnati Red Stockings, established in 1869 as the first openly all-professional baseball team, voted to dissolve after the 1870 season. The original Boston Red Stockings team and its successors can lay claim to being the oldest continuously playing team in American professional sports. Two young players hired away from the Forest City club of Rockford, turned out to be the biggest stars during the NAPBBP years, pitcher Al Spalding and second baseman Ross Barnes. Main entrance from Russell Street. The Orioles hosting the Seattle Mariners on August 1, 2014. 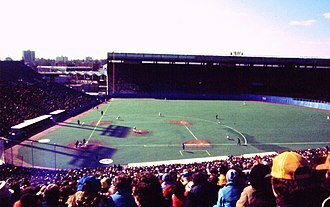 The Blue Jays' second game in its inaugural season. Unlike the first game played in a snow storm, this day was bright and sunny with the temperature well below freezing. Cito Gaston was named as the Blue Jays' manager during the 1989 season. 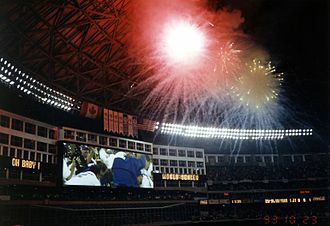 Fireworks at the Skydome following the Blue Jays' victory in the 1993 World Series. Washington's Bucky Harris scores on his home run in the fourth inning of Game 7 of the 1924 World Series. President Calvin Coolidge (left) and Washington Senators pitcher Walter Johnson (right) shake hands following the Senators' 1924 championship. Justin Morneau, drafted in 1999 by the Twins, won the AL MVP award in 2006. Joe Nathan won the Rolaids Relief Man Award in 2009. Bench signs autographs in Houston in May 2014. The 1987 Giants, pictured above at Candlestick, led the club to its first postseason appearance since 1971. Andrés Galarraga, pictured here in 2002, also played with the Expos from 1985 to 1991. 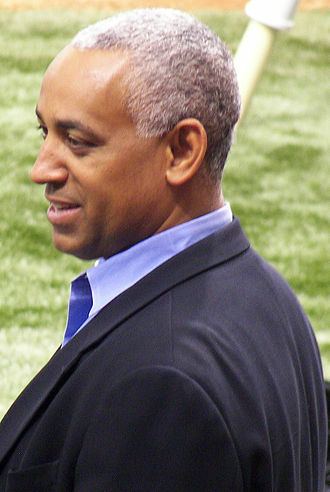 Omar Minaya was the first Latin American-born general manager in MLB history. Shawon Dunston was the Cubs shortstop for 10 years. McCarver speaking upon being inducted into the Irish American Baseball Hall of Fame, 2010. Statue of Coleman at Petco Park. Cito Gaston's name is honoured by the Toronto Blue Jays in Rogers Centre. Bobby Cox following an ejection from a game in September 2009.